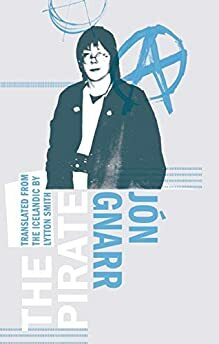 Largehearted Boy: Book Notes - Jón Gnarr "The Pirate"
Book Notes - Jón Gnarr "The Pirate"
Jon Gnarr may be best known as the comedian who became mayor of Reykjavik, but he also impresses with his writing. The Pirate recounts his teen years and punk rock's influence on his life. Just one of my favorite lyrics. It's my ringtone today. Clash played in Iceland and I couldn't go and cried myself to sleep. Loved it and enjoyed how it annoyed grown ups around me.